No one can be compared to Jesus Christ; He is the incomparable One, unique in every way. 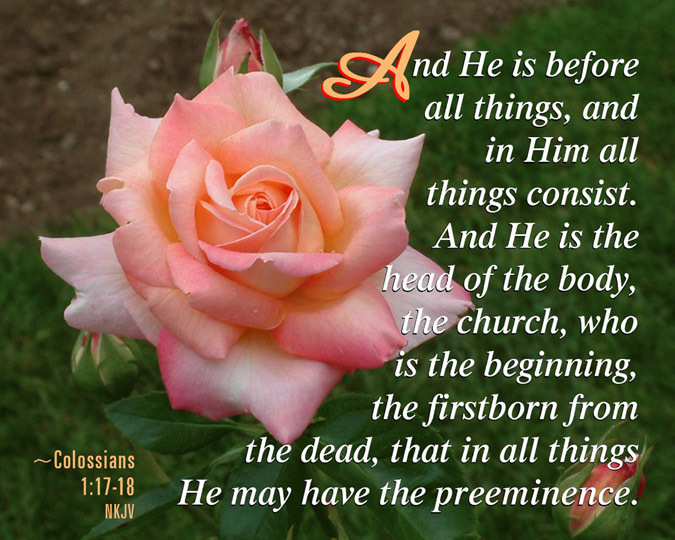 He is the only One through whom all things were made (John 1:3; Col. 1:16). He is the only Man whose birth, life, death and exaltation fulfilled hundreds of prophecies (Luke 24:44). He is the only Man conceived miraculously, apart from any human father (Luke 1:35). He is the only Man whose birth triggered a public celebration by multitudes of angels (Luke 2:13-14). He is the only One who existed long before His birth (John 1:1; 8:58). He is the only Man who never disobeyed God, but always did those things that were pleasing in His sight, and never committed even one act of sin (John 8:29; 1 Pet. 2:22). He is the only Man who could claim to be equal with God without committing blasphemy (John 5:18). He is the only Man who died for sinners as their sin-bearing substitutionary sacrifice (Isa. 53). He is the only Man who has risen from the dead, never to die again (Rom. 6:9). He is the only Man who will return to earth in power and great glory (Matt. 24:30). He is the only Man destined to be the world's King and only Potentate (Isa. 9:6-7). He is the only Man who will judge all other men (Acts 17:31). He is the only Man who will be the center of worship throughout eternity (Rev. 21-22). "Worthy is the Lamb that was slain!" He is the only Person that men must trust in order to receive the gift of eternal life (John 3:16). There is no salvation apart from Him (Acts 4:12). Have you entered into a unique relationship with the Son of God, the One who loved you and gave Himself for you? He alone can provide for you life and joy and peace. [More than] 2000 years ago there was a Man born contrary to the laws of life (the virgin birth). This Man lived in poverty and was reared in obscurity (He grew up in the remote village of Nazareth). He did not travel extensively. Only once did He cross the boundary of the country in which He lived; that was during His exile in childhood (when He went into Egypt). He possessed neither wealth nor influence. His relatives were inconspicuous (they were not famous), and had neither training nor formal education. In infancy He startled a king; in childhood He puzzled doctors (doctors of theology; those men who studied the Scriptures); in manhood He ruled the course of nature, walked upon the billows as if pavements, and hushed the sea to sleep. He never wrote a book, and yet all the libraries of the country could not hold the books that have been written about Him. The names of the past proud statesmen of Greece and Rome have come and gone. The names of the past scientists, philosophers, and theologians have come and gone; but the name of this Man abounds more and more. Though time has spread approximately two thousand years between the people of this generation and the scene of His crucifixion, yet He still lives. Herod could not destroy Him, and the grave could not hold Him. (Taken from a tract entitled "The Incomparable Christ"